I was born in the UK, Andrew was born in Australia, we both now live in New Zealand and also have New Zealand citizenship and are planning on buying a boat in Europe to sail back to New Zealand. When a ship registered in New Zealand travels overseas, its registration gives it the protection of the New Zealand Government. This is in much the same way as a New Zealand citizen is protected while traveling overseas. The ship’s registration papers provide proof of identity like a passport does for a person. There are two ways to register your yacht – Part A is for larger vessels and involves a title of sorts which can also have a mortgage listed against it. This type of registration remains with the vessel all the while it is owned by a New Zealander. The cost is $2160.00 for a new build or $3024.00 for an existing yacht. Part B registration lasts for 5 years and terminates when you sell the vessel. It is designed mainly for pleasure craft. The cost is $720.00. Some excellent information about registering boats can be found on the Maritime NZ website. The other consideration is that NZ registered vessels have to have Cat 1 safety certification to leave New Zealand. This can be a very expensive exercise, requiring the boat to be hauled out and inspected to prove that it has all the relevant safety equipment on board. While this can be expensive and inconvenient, I do believe that having the yacht prepared to that level of safety is really important. Again there are two parts. Part 1 is similar to part A for NZ – however the cost is only GBP124.00. British Citizens overseas are eligible to register using this one. Part III is similar to our part B but it stipulates that you must be resident in the UK for 185 days a year and we won’t qualify for that. The cost for that one is GBP25.00. More information can be found on this website. Both of these options last for five years. It also states that if the yacht is owned jointly by two people, and one qualifies and the other doesn’t, then the other partner can have a minority shareholding. Ships/yachts for the purpose of registration, are divided in to 64 shares. so as the British Citizen, I should have 33 shares and Andrew 31. As Andrew is an Australian citizen, we also have the option of registering the boat in Australia. The General Register seems to be similar to Part B or Part III – and the cost here is AUD$1190.00. More info here. A flag – or country of registration is a symbol of loyalty, belonging and affiliation. An open registry or flag of convenience is a country that allows people from any nationality or with no affiliation to register their vessel in that country. Closed registries or national registries require people to be either a citizens of that country to register their vessel there. The certificate of registry is evidence of ownership and nationality of the vessel. Well weighing up all those options, the British Registration does definitely come out the cheapest, and the next time the boat left New Zealand then we wouldn’t be required to get the Cat 1 certification. The Australian option is the most expensive, but again would mean that we wouldn’t need to do Cat 1 when departing NZ. We will be intending to purchase the boat VAT (tax) free in Europe because we will be exporting it. By having it registered as a British boat, this might make the export argument less plausible. 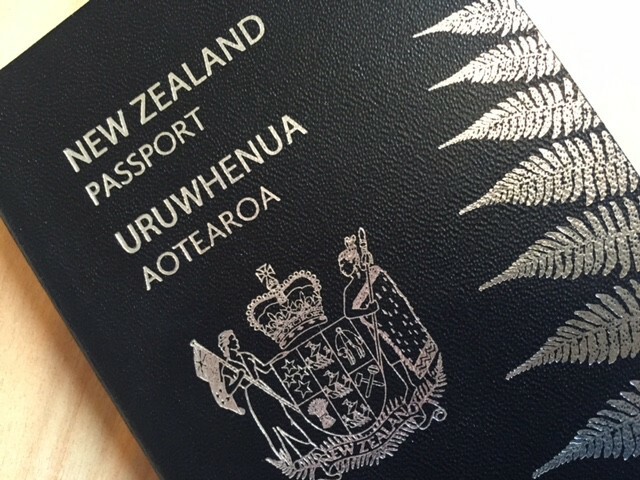 Both Andrew and I will be able to travel on our New Zealand passports, on our New Zealand registered boat. Meaning that we all get the same protection from the NZ Government when traveling abroad. I think things could be a bit confused if we had a British Registered boat, with an Australian and a New Zealander on board. Keep things simple & less confusing all round if we are all the same. New Zealand is our actual home, where our kids live, and where we will retain our residential tax status. While this does have certain financial constraints, it does mean that if anything should happen we will be able to come home and still be able to access the public health system, or if we set off our EPIRB, then the NZ Search and Rescue teams will assist with our recovery. We will keep our Australian and British passports current so that should we lose our New Zealand passports we will still have options. What are your thoughts? Where is your boat registered? Do you have any advice or suggestions in regards to boat registration options? Sounds like a wise choice. I remember when we looked into this too – register our boat in the States (where we were born), NZ (where we’re permanent and tax residents) or Ireland (we also have dual citizenship). We ended up going with the States for a variety of reasons – cheaper, less stringent (no Cat 1 requirements) and matches our primary passports. Right now our boat is registered Canadian, cause we are! But we are thinking to have it registered Marshall Islands. Would form a Cie and the boat will be the property of the Cie. That way, if something happens, it is not the individuals that would take responsibility… We see too much Americans suing for any reason, we don’t want to take that risk. now. I just need a yacht! The UK doesn’t require registration and part III was invented to pacify our European friends who wanted some kind of proof of ownership of boats coming from here. It’s not stringent at all. Fill in a web form and they send you a certificate and that’s it. As far as I know nobody checks anything. Good to know, thanks Richard!